* ‘아시아엔’ 해외필진 기고문의 한글요약본과 원문을 함께 게재합니다. [아시아엔=노릴라 다우드 말레이시아월드뉴스 편집장] 아세안 각국의 중소기업간 교역이 지지부진하며 아세안경제공동체(AEC) 활성화에 걸림돌이 되고 있다. 아세안 지역의 무역업자 중 90%가 소기업 규모지만 이들이 전체규모에서 차지하는 비중이 크기 때문이다. 아세안의 소규모 기업들은 자급자족이 가능한 사업을 꾸리고 있어, 해외진출의 필요성을 느끼지 못한다. 말레이에선 경제 규모의 10%를 중소기업이 차지한다. 말레이 주식시장은 규모가 상당히 큰 편인데 상장된 1000개 기업이 국가 경제의 90%를 차지한다. 그러나 상장기업들 중 85%가 부를 가족에게 세습하고, 이 기업을 소유하고 있는 1천여가구, 5천여명에 불과한 소수 부유층에게 부가 집중돼 있다. 부의 쏠림 현상이 심각한 것이다. 때문에 일각에선 말레이 경제정책이 영세기업에 맞춰져야 하며 소기업들은 그들의 규모를 키워 중견기업으로 성장해야 한다고 주장한다. 이는 국가 전체 경제의 성장으로 확산될 수 있다. 말레이 쿠알라룸푸르에서 개최된 2016 아세안세계경제포럼(World Economic Forum on ASEAN 2016)에서도 훈 센 캄보디아 총리와 유수프 칼라 인도네시아 부통령은 아세안 국가들간의 경제발전 격차가 아세안경제공동체(AEC)를 형성하는데 장애물이 된다고 말했다. 두 지도자의 발언에 대해 말레이시아 툰 압둘 라작 대학의 글로벌 이슬람금융 MBA프로그램 학장인 바료야이 발다이 교수는 “대부분의 아세안 국가들이 빈부격차 문제에 직면하고 있기 때문”이라며 “인구가 많은 국가들이 인구가 적은 국가보다 그 격차를 크게 느낄 것”이라고 말했다. 그는 또한 “국가간 경제격차와 개별국가의 국민 계층간 소득격차 해소는 아세안 국가들간의 교역과 투자를 통해서만 가능하다”고 강조했다. 한편 유수프 칼라 부통령의 “외국인 직접투자를 받기 위해 일부 국가들이 값싼 노동력을 제공하고 있다. 일부 국가에 국한되는 것이 아닌 보다 폭넓은 범위의 최저임금제를 도입하자”는 제안에 대해 바료야이 교수는 “단기적으로 임금상승은 노동자 계층에 이로울 것이다. 그러나 장기적으로 보면 시세보다 낮은 임금을 지불할 수 밖에 없는 중소기업을 ‘죽이는’ 결과를 가져올 것”이라고 답했다. 아세안의 대기업 역시 생산효율성 문제와 임금률 상승에 직면하고 있다. 특히 가파른 임금상승은 대규모 인원감축과 노동력의 기계화 대체를 유발할 것이다. 바료야이 교수는 이에 대해선 “저임금 노동력 제공에 따른 해외자본유치는 단기적인 경제성장을 가져올 수는 있다. 그러나 숙련도와 효율성을 갖춘 노동인력 개발이 장기적인 경제성장의 기본 조건이다”라고 말했다. The contribution of small medium enterprises (SMEs) to the formation of the ASEAN Economic Community (AEC) is undergoing a slow process. Meanwhile, the trade mobility amongst the ASEAN member countries is witnessing a “wait and see” situation. The reasons are clear. Nearly 90 percent of traders in the ASEAN region are small and from the micro category but are big in numbers. Satisfied with self-sufficient businesses, they have never dreamt of going overseas or about exporting their products. Prof. Dr. Barjoyai Bardai, Programme Director of MBA at Global Islamic Finance and Project Director for Islamic Finance Universiti Tun Abdul Razak, makes an important point. 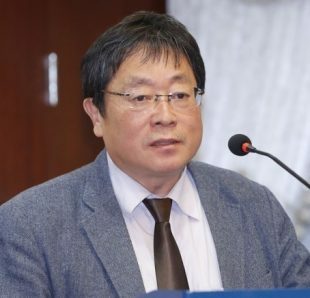 According to him, the SMEs never thought they have any connection with the outside world, leave alone about exporting products to other countries. He added, the small traders are not even regarded as SMEs, since the size of their businesses are too small. “The contribution of SMEs to the Malaysian economy as a whole is only 10 percent. In Malaysia the share market is rather big. Nearly 1,000 listed companies contribute to 90 percent of the country’s wealth and income. “This phenomenon becomes more critical when 85 percent of the listed companies in the share market belong to families, which make up 90 percent of the economy, income and wealth. They are controlled by 1,000 families and 5,000 people,” he added. Nevertheless, the SMEs that have progressively developed will eventually become a part of the millionaire club. The numbers are not growing fast, as the club is exclusive to companies worth more than USD 20 million each. Economic development, Barjoyai said, has to be focused on micro traders and small enterprises, to help raise their income and wealth, enabling them to be in the middle income group. The development of the middle income group should spread across the country and all strata of the population. The establishment of a bank and micro business development institute will enable this group to get necessary assistance. This effort can be meaningful only if loans are approved without collateral and all activities of micro traders are monitored in a transparent way. The Prime Minister of the Kingdom of Cambodia, Hun Sen and the Vice President of Indonesia, Jusuf Kalla, attended the World Economic Forum on ASEAN 2016 in Kuala Lumpur recently. 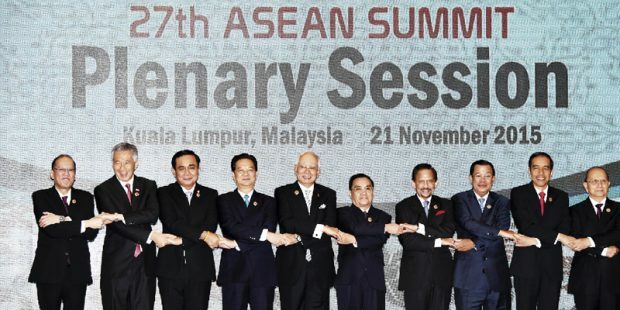 They blamed the different levels of economic development amongst the ASEAN member countries as the main obstacle to the successful formation of the AEC. Regarding the remarks of the two leaders, Barjoyai said, he agrees with them. He reaffirmed that almost all ASEAN member countries are facing the problem of income gaps between the rich and the poor. The numbers of low income groups are are too big. On an average, their incomes are too low to meet their daily needs, thus leading to a more serious urban poor problem. “Different levels of economic gaps occur in every community and every country. There are gaps between countries too. Countries with bigger population will feel the gap more than countries with a smaller population,” he reiterated. Barjoyai also said, efforts should be made to narrow the gap within every country and then between countries. This can be achieved only through trade and investments between ASEAN member countries. Barjoyai also responded to Jusuf Kalla’s suggestion to widely introduce minimum wage in select countries, to address the issue of some countries offering cheap labour to attract Foreign Direct Investments (FDI). Barjoyai said, the minimum wage system will pose a problem in the short and middle term and will only show results in the long term. In the short term he commented, the increase in the wages will possibly help the workers. Nevertheless, this effort will ‘kill” the SMEs that are still struggling and paying wages far below the market rates. The big enterprises too will face productivity problems with an increase in the wage rates. The rise in wage rates will force them to retrench workers and replace them with technology for more efficient operations. Efforts should be made to secure workers with more skills and efficiencies to rationalise the wage increase. “Competition to attract foreign investors will be the deciding factor for the success of the economy in the short term. The development of the talent and skills of local workers should be the basic prerequisite for the success of the economy in the long term,” Barjoyai said.